Join us for an afternoon exploring the early aviation history of our county, with our partners Cross and Cockade International, specialists in the study of First World War Aviation and publishers of the famous historical magazine about aviation in World War I. 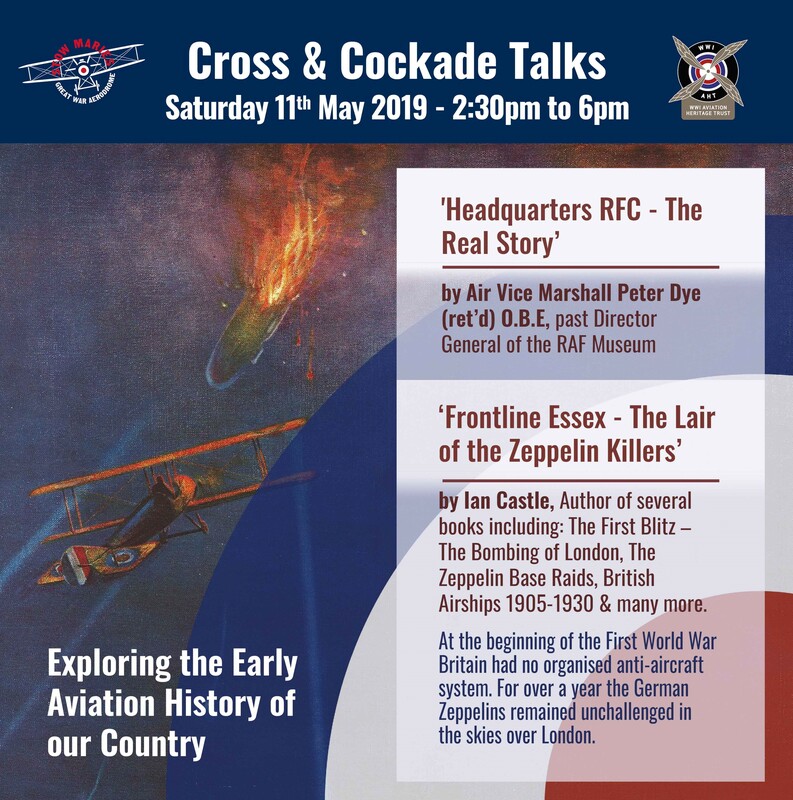 Hear about the real story of the RFC Headquarters by past Director General of the RAF Museum, Air Vice Marshall Peter Dye (ret’d) O.B.E as well as Aviation Historian and Author, Ian Castle, talking about Frontline Essex – The Lair of the Zeppelin Killers. Tickets cost £15 which includes admission to the site for the day, a slice of Tiptree Patisserie cake and refreshments. CCI Members can book a concession ticket for £12.50 if they include their membership number. Food will be available to be purchased in the Airmen’s Mess until 1pm. Flight line tours will be available for a cost of £5 on the day, weather permitted.